Music Community that we generally view, do you have any specific service being your favorite and what temptations are you attracted with that service? Beatrobo one of Music Community from Japan introduces another new experience of listening to music together with friends by a lovely robot acting as our Avatar in collecting our favorite Music Playlists directly drawn from various songs that we ?Like? on Facebook without wasting more time! At the same time it can link to our friends? Playlists too. Beatrobo one of the Startups from Japan was found by Mr. Hiroshi Asaeda who is well known as the first builder of ?Secondlife? Community in Japan with ample experience of road shows in many countries, including the big events like SXSW 2012 (South By Southwest) and latest the one among ten Startups being selected to Pitch in Echelon 2012 too. 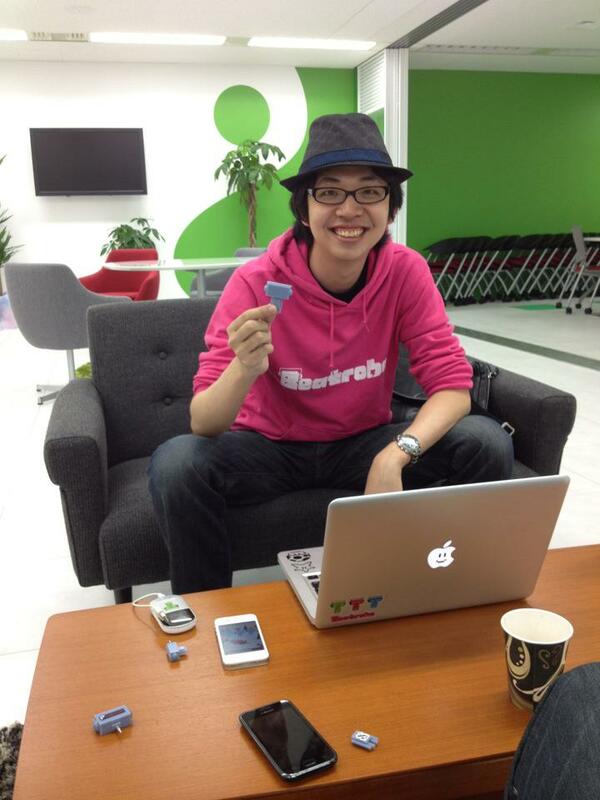 Our thumbsup team had chance to interview this startup.How is it so interesting? Please follow. thumbsup: Would you please introduce your service (Beatrobo)? How does the idea come from? 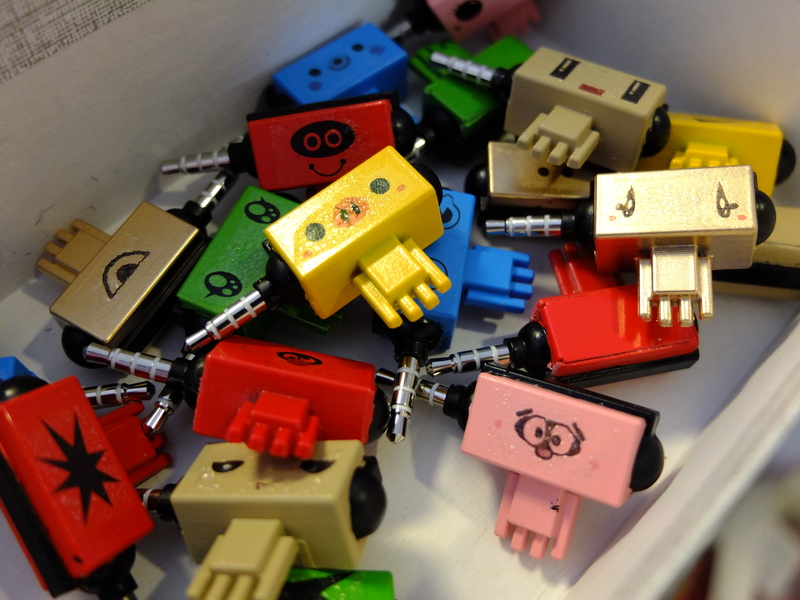 Mr.Asaeda: Beatrobo turns music playlists into pet robots, where their activities connect you to friends, music and the community. The idea came from the difficulty of talking about songs with your actual friends, since you can’t continue the conversation if you don’t know about the song, and it’s hard to start listening to a song together when this happens. thumbsup: Have you ever seen any similar service before? Mr.Asaeda: There are playlist services and music services with avatars, but we are the first music service to create a listening experience in a social game like asynchronous experience. 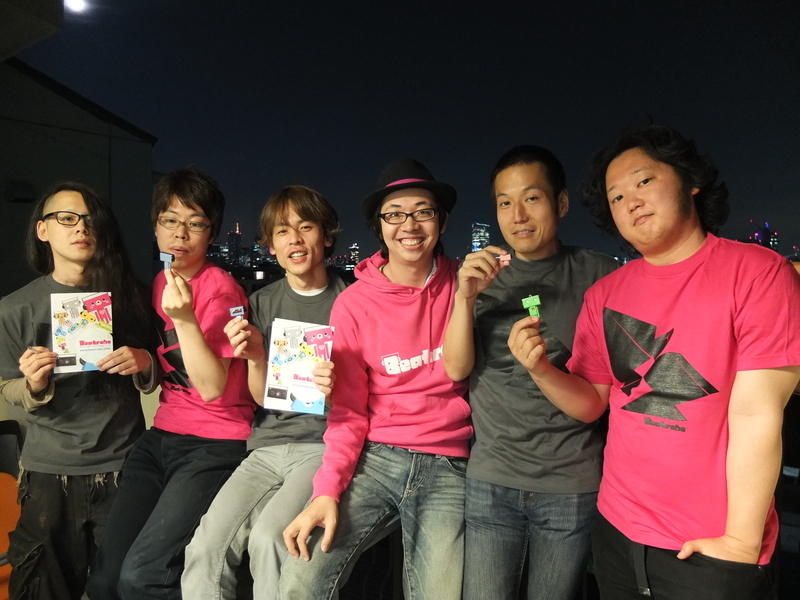 thumbsup: What is the key feature of beatrobo? 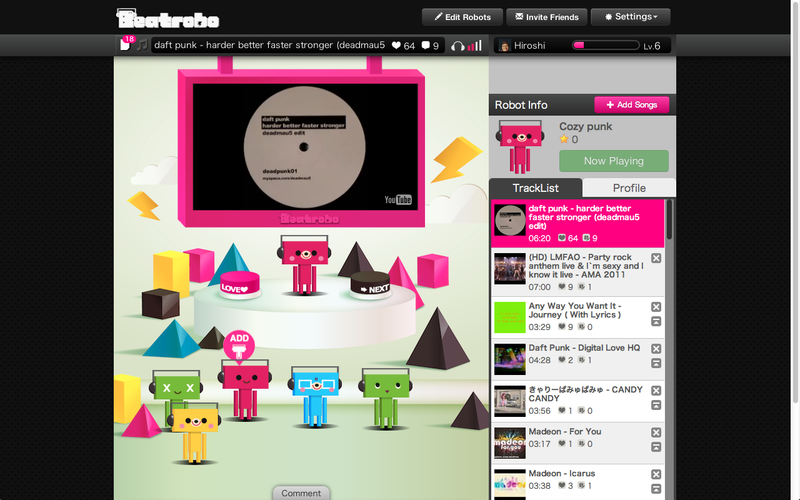 Mr.Asaeda: Beatrobo lets you listen to music in a passive manner, just like a radio. All the songs played here will be your friend’s favorite songs, so you can always start a conversation with a friend from any song you listen. thumbsup: What is your business model? How do you monetize it? Mr.Asaeda: Our business model is to sell playlists. Since there isn’t a culture for buying playlists, we are materializing them as avatars, compilation albums, and as a toy gadget called ?Beat Plug?. thumbsup: What is your global marketing plan? How do you promote this service? Mr.Asaeda: Our marketing plan is to partner with events, concerts, and artists. We both have a web service which can be accessed globally, and a physical gadget to start a conversation. thumbsup: How many subscribers? Most of them are in Japan or which countries? Mr.Asaeda: We have over 10,000 users registered to our service. There are more users from outside Japan. thumbsup: Who is your customer group – age and gender? Mr.Asaeda: We want everyone who loves music to join our service, but from the avatar prospect, we are thinking people from 15 – 30 will use our service. thumbsup: What is the source of your capital now? Mr.Asaeda: We have raised $612,500 ?in March 30th as our seed round. thumbsup: How much are you interested to enter Thai market? Mr.Asaeda: Everyone loves music, and music interests are based on the things around you. We think our service will fit into the Thai market since users in Thai will find music from their direct friends. thumbsup: What is your future plan? ex. mobile application etc? Mr.Asaeda: We are currently working on our iPhone app, and we are planning to launch our Beat Plug soon. thumbsup: Kindly share your experience after participated in Echelon 2012 and where are you going to pitch soon? Mr.Asaeda: Being at Echelon 2012 was great since we got to find out people in southeast asia loved our design, and people understood the problem we are facing. We are going into development mode for a while to release our product, but we hope to be at SXSW 2013 in Austin, USA. I wish to visit Thai if we have a chance. Good design which provides the customer with very interesting experience when they listen to the music, transforming the traditional Music Playlist into the new form of a lovely robot that looked like easier to touch and the Beat Plug can be topped up as collection items as well. Utilizing benefits from Social Network like Facebook, not only linking friends but also simply Login with Facebook drawing all the music we Like into Playlist. Long term opportunity of Beatrobo is shaking hands with Music Companies with revenue from Virtual Goods like Branded Robot collecting Playlist from artists for sales and creating Beat Plug as collection items. However, it is still in the stage of developing and improving various aspects waiting for actual full scale launching to realize the experience of this service being good enough to lure the volume of users. The bigger volume of users will motivate more attentions among the Music Companies.